It was a tale of two halves for the Oklahoma City Thunder tonight as the San Antonio Spurs looked to get a second consecutive win tonight, but with strong Thunder defense, a phenomenal effort in the second half, and 48 points from second unit players, the Thunder ended their three-game losing streak with a 122-112 win over the Spurs. 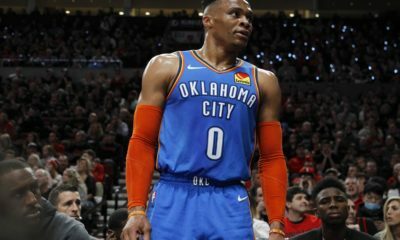 After a rather dismal first half where the Thunder were inefficient on offense and giving Thunder fans the impression another loss was on the horizon, the Thunder came out firing in the third quarter regaining the lead, outscoring San Antonio 35-20 in Q3, and they never lost the lead again. Dennis Schröder was a standout in the second half scoring all 19 of his points after halftime and dishing out some accurate passes to utilize players like Russell Westbrook and Abdel Nader. He ended the night with 19 points, 6 assist, and 4 steals. Abdel Nader had a perfect night from the floor going 6-6, racking up 15 points, and playing some meaningful minutes in the absence of Alex Abrines. This game was all about the Thunder bench. 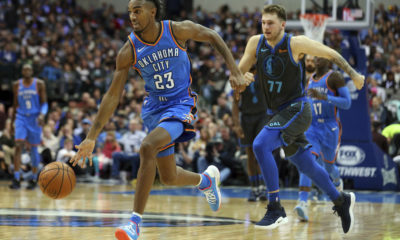 Patrick Patterson had a great night shooting 5-7 from the floor and 3-3 from downtown, and after going through a lengthy slump on the offensive side of the ball, Patterson has been getting back into his rhythm the past few games to contribute heavily to pulling the Thunder back into games when facing a deficit. January has been rough for the Thunder, but last night looked like the spark of an entry out of the so-called “slump” the Thunder have fallen into losing three straight beginning with a blowout loss to the Wizards on Jan. 6. 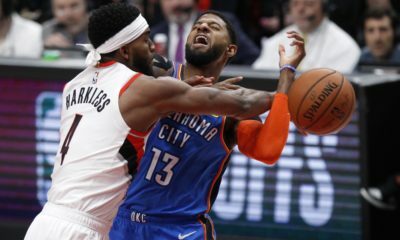 This is going to happen to teams in the NBA, and sure it’s frustrating to Thunder fans, but with a strong Thunder bench, Russell Westbrook playing smarter basketball and taking better shots, and Paul George playing the best basketball of his career, things will look up for this Thunder team as they look to get back to their winning ways. 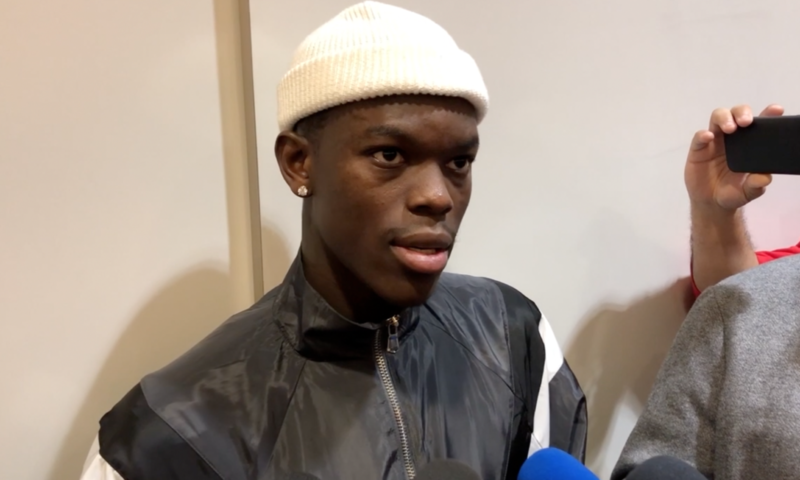 Dennis Schröder is a darn good player, and though he plays with frustrations (his words, not mine), he looked like a star against the Spurs last night, and this confidence that has been instilled in him will carry over to more games, and hopefully that slump of his own is over. The schedule for the Thunder is about to get tougher, but this team will be ready. There is a lot of fight in this group this season that even when they did drop some disappointing losses, they fought until the end, and there continues to be new areas of improvement with every game. I personally think this team will surprise everyone as the season continues on with their resilience and determination, and when guys like Nerlens Noel, Alex Abrines, and Andre Roberson come back, whenever that may be, this team has the potential to be unstoppable. The Thunder advance to 26-16 in the season, 14-6 on their home court, and they will have some time off today before traveling to Atlanta to take on Trae Young and the Atlanta Hawks on Tuesday night before returning home to host the Los Angeles Lakers inside Chesapeake. Watch below for a full postgame wrap-up including postgame pressers from Terrance Ferguson, Patrick Patterson, Abdel Nader, and Dennis Schröder.